Z-Vent Commercial Boot Tee. 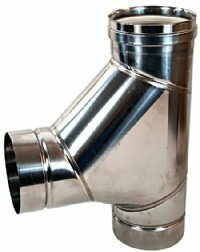 A Boot Tee is designed to allow a low, flow resistance connection of horizontal and vertical sections. A tee cap is available separately. Available in diameters 3" to 24".